During the Renaissance of the fifteenth century, intellectuals believed that some subjects in art were of a higher order than others. “History painting” was judged to be the most difficult and at the highest level. In a broad interpretation of the term, these were paintings that told a story; the category included biblical and historical subjects as well as allegorical and mythological scenes. In history paintings, the figures in them interacted in settings that required an artist to have mastery of all aspects of painting. Ranked below history painting was full figure portraiture (a portrait in the form of a bust was a step lower). Ivan Nikolaevich Kramskoi (also spelled, Kramskoy) was not a painter of historic battles or mythical events, and his work was not in keeping with new trends in European painting. Kramskoi lived in Russia at a time when France had become the center of the art world. In Paris, his contemporaries the Impressionists were changing the emphasis of painting with studies of natural light, color, and the landscape. Kramskoi was neither a history painter nor part of the Impressionist movement; he painted portraits, in a studio and his colors tended to be monochromatic. Yet, his portraits were of exceptional quality. He had an ability to imbue a sitter’s facial expression with details that gave insights into a person’s mood and character. “Christ in the Desert,” shown here, was not painted for an art-minded Parisian gallery-goer whose interest was in seeing the latest developments in the art world. 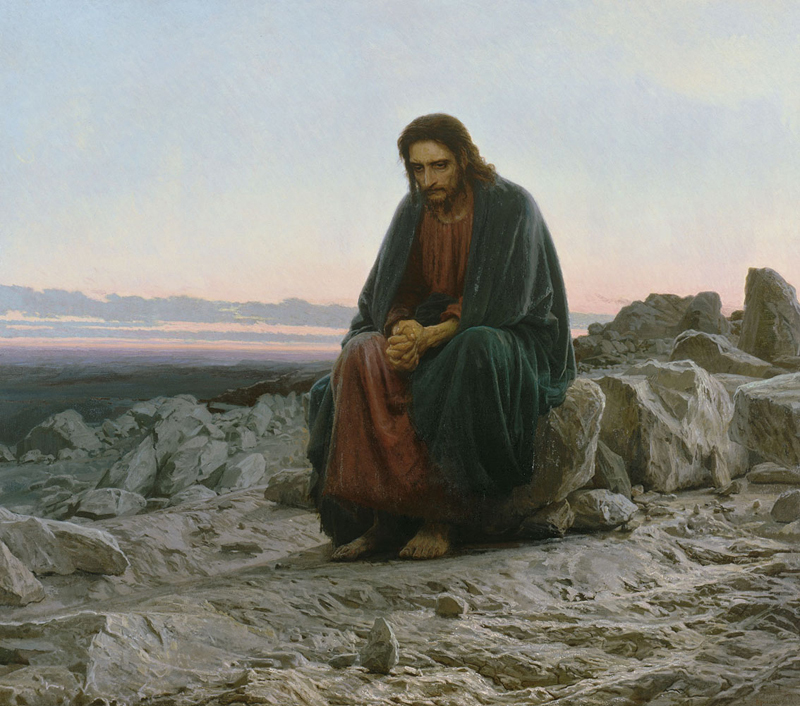 Kramskoi shows us Christ in deep thought and introspection at a time before being tempted.